Jack Cullen’s debut single “Learn” confirms his bright future, demonstrating vulnerability, passion, and promise. Some of the most beautiful songs start off so simply, that it is hard to brace yourself for what’s to come. What’s even more beautiful is when this range of emotions comes from an artist on the rise. Seeing potential early on, brings the hope that their future is bright. Playing a sold out headlining gig last month, without having a single song released, demonstrates the growing capabilities of a young singer/songwriter named Jack Cullen. 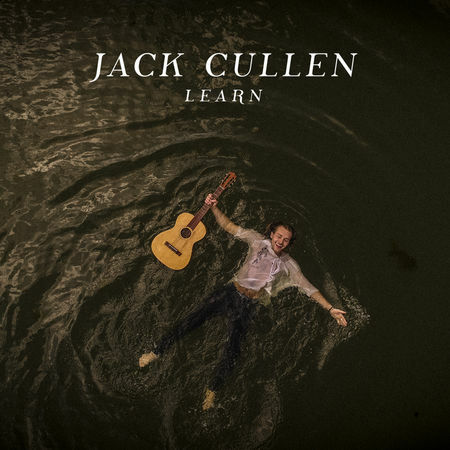 Rising singer/songwriter Jack Cullen assumes an exciting role with his debut single “Learn,” released September 19, 2018. Beginning with a simple guitar riff, the song takes on an inviting style before Cullen’s soothing but crisp voice is powerfully introduced. The song moves with grace and the lyrics bring a harmonious sound. Cullen’s upbeat introductory guitar riff is played throughout, which emphasizes this solid rhythmic style while the track itself matures beyond the lone driving guitar, with fluid backing sounds layering the piece perfectly. Limited production allows Cullen to showcase his voice, solidifying himself as a force to be reckoned with in the music world. Cullen’s lyricism is inspiring and shows vulnerability. The singer/songwriter doesn’t hold back his feelings for wanting to know his love interest. He is opening up to being with them, but first emphasizing the willingness to learn from them in every way: Wanting to understand them and learning to love in the process; to truly be open to each other and make time worth it, all while creating memories that will have a lasting impact. Would you spill your mind to me? There is a constant cycle of confusion when love hits, which often blinds you to what is right in front of you. There is a desire to know everything about that person; to truly understand them. Cullen hones in on this immersive state of being with a playful sound, expressing himself in thoughtful verses rife with intense emotion. His happy demeanor makes “Learn” feel like a love letter to that special someone. Jack Cullen’s debut single could be compared to the likes of Lewis Capaldi and Dermot Kennedy, but he is quickly paving his own path with distinct styling and lyricism. His introductory track reassures that he lays his heart on his sleeve, and is open to learning from it. This isn’t the last time you will be hearing his name.